One subscription = unlimited access to 30 clubs ! A restricted access to the list of members enables you to find new partners. A competition is organized every month. Informal dinners after the competitions, and yearly formal dinner for members on February 28th in a Paris restaurant. These rates are valid for the current year. Le Grand Club season begins March 1st. However, it is possible to join Le Grand Club at any time, the amount of the subscription will be calculated on a pro rata basis for the 1st year. Payment facilities are available and the subscription can be paid in monthly standing orders until 28 February inclusive. 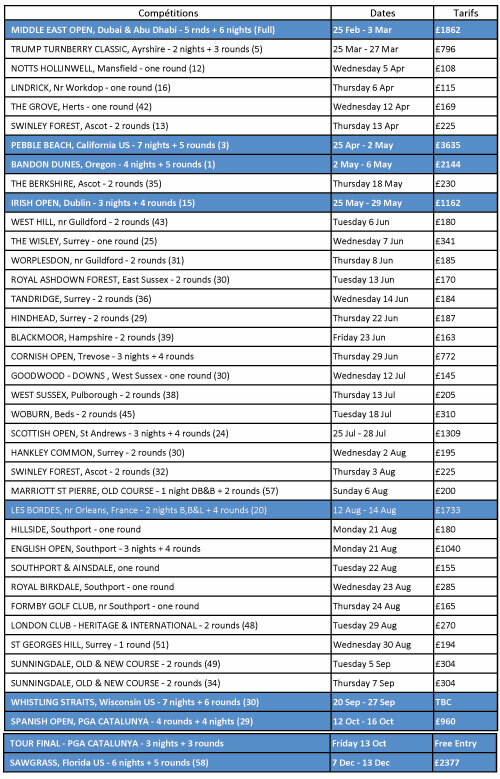 The phone numbers of the golf courses to book your tee times. Do not forget to cancel your tee time in case of impediment. Finally, take your time, have a drink at the bar or stay over to have lunch at the course, our golf partners will appreciate it and it will have a favorable impact on our future relationship with them. 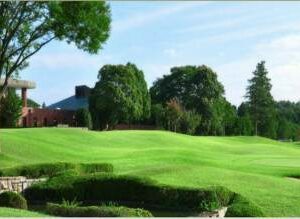 Invite your clients, colleagues and business partners for a golf game. (*) Prices are given taxless for a year. 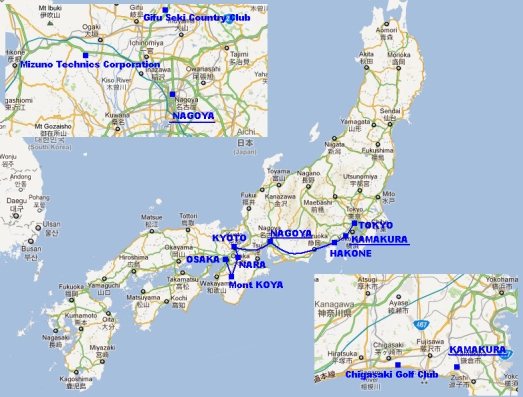 Hirono, the first golf course built in Japan was located in Kobe in 1903, a major harbour where the trading exchanges with the western world were initiated. At the time British expats were the only players on the course. Up until the war in the Pacific (1942), there were only 23 courses in Japan. 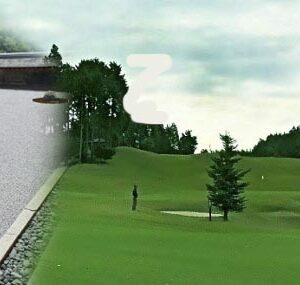 In the 80ties, golf became, the most popular sport in Japan, with more than 20 million players during the “bubble economy”. 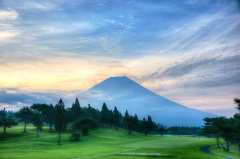 Today with less than 10 million players, Japan is still considered a very large golfing nation. In addition, there are two strong professional tours : one for men and the other for women running each, more than 40 tournaments per season, weekly broadcast on TV, and very well supported by generous sponsors. Japan manufacturers are also leaders for golf equipment : clubs, shafts, golf balls, tees… made in Japan are considered to be the best in the world . 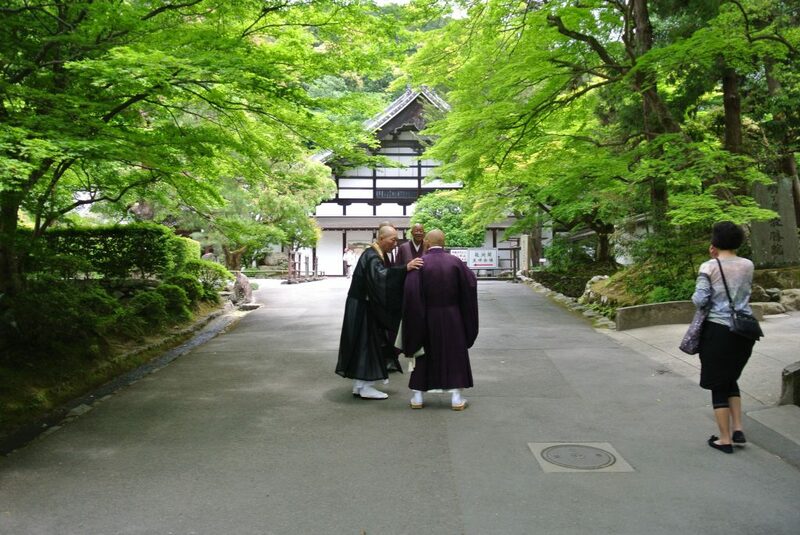 Japanese culture has always been influenced by China and Korea before it experienced a long period of isolation from the outside world. 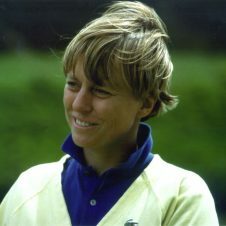 First and only European player who ever qualified on the Japanese women’s tour (JLPGA) where she played for 7 years. Nathalie wanted to share her passion for Japan, she will accompany this journey and will make you enjoy both, her golf experience and her love for Japanese culture. Price per person in double room for 12 participants pay, minimum required for the start of the trip : from 5.650 €. The direct flights Paris-Osaka-Tokyo-Paris, on regular flights of the company Air France (golf bag included, mandatory registration to Flying Blue program by Air France free). The air taxs of airport and security known to this day (374 €) and possibly adjustable in case of increase by the company. 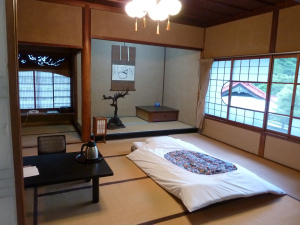 The accommodation (hotels, 1 night in a temple and 1 night in a Japanese inn) in a double room with bathroom except for the night at the monastery. 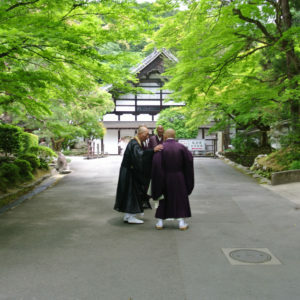 The transport (buses and trains), guided tours and entries on the sites mentioned in the program. The accompaniment and the permanent support of Nathalie Jeanson and a francophone guide on the spot. The costs of transport home/Airport Charles de Gaulle /home. The extras and personal expenses. Everything that is not mentioned in the program (some Caddy fees). 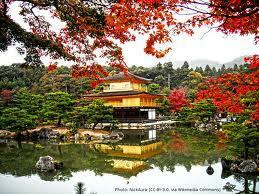 Foreign nationals who enter on the Japanese territory are subject to the taking of biometric data. To this effect, they must, at the time of immigration formalities, lend themselves to the taking of fingerprints and a photographic portrait (facing only). No vaccine is mandatory for travel to Japan. The minimum number of participants is 12. The air schedules mentioned in the program are subject to change by the airline. The air bookings are made with the company Air France. A unique program for you to grow at your own pace ! Three topics of the game in the program : strategy, putting, and the mind set. Two golf instructors, Le Grand Club members, propose playing lessons on most of our courses. 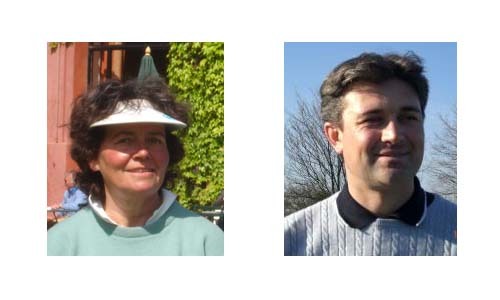 Corinne Reybroeck and Cyril Ferran, both PGA France members, their uniqueness is that they only teach on the course, not at the range ! Their approach is different from traditional and technical lessons when hitting balls. They will improve your decision making on the golf course and show you all kinds of tricks to improve your scores. Tremendous international amateur career, 8 times National champion in Belgium, 2003 winner of 'Trophée Simone Thion de la Chaume in Chantaco, 2013 winner of l'English Ladies Seniors. Her strength resides in her incomparable short game. Location : preferably golf de Raray (near Senlis). Cyril has been teaching for 25 years, founded his golf school in 2006. Playing lessons only : students learn how to play in groups of 3. The lesson can last half-day on 9 holes or the entire day on 18 holes. With a break for lunch in the middle in order to debate on various remarks and observations he has notices on your game. Take 2 strokes off your score ! Putting, the way you dream of it ! Edouard Montaz, welcomes you in a real indoor lab in the heart of Paris. The putting surface is equipped with sensors, infrared rays and the “Sam Putt Lab” : a computerized accurate analysis that all great players love to use. Edouard makes you discover your putting the way you have never seen it before, using statistics and common sense. You will understand your strengths and what you need to adjust in your stroke and alignment in order to improve and optimize your scores. For your information, Edouard is the teaching director of the Shawn Clement golf academy in France. 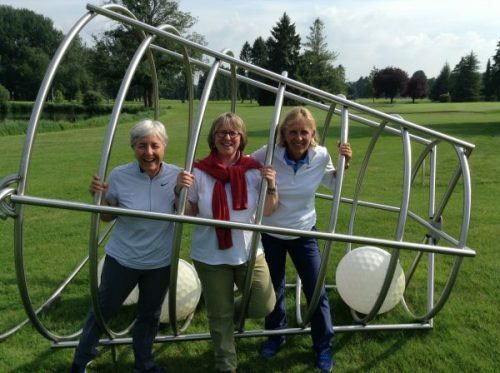 With Nathalie Jeanson discover “Vision 54 !” after 2 days recently spent with Pia Nilsson (the player) and Lynn Marriott (the teacher), Nathalie is now able to share their experience as coaches. 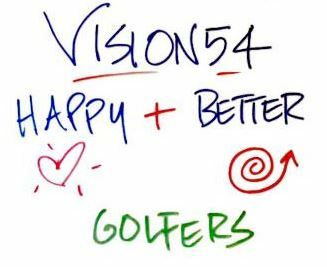 Their vision is spread throughout the world, their approach has profoundly changed the game of many players, it goes for all levels from beginners to champions on the tour. Let’s carry on the course everything we have worked on, on the driving range, but beforehand, let’s bring the whole golf course on the driving range ! What’s more exhilarating for a member of the Grand Club than accessing the best courses on earth ? You want to participate to in an event, you register directly on the site which will provide you with a “package” for the participation for each event. The priceless part of the offer is the access provided to these courses which are normally very private and very closed, it also includes, competition, sometimes meals, and sometimes accommodation, in the event competition takes place abroad or over several days. It is possible to take part in one or more of the 40 events during the season … and to appear in the order of merit (By way of awarding prizes : accumulated points obtained in each event offers reductions for the next event participating fee , as well as for participation fee in the final event). The average handicap of members of the circuit is between 12 and 18. Sometimes less sometimes more. Ranking is based on net results and handicap updated after each round. Just choose the destination you fantasize the most. * The number () indicates the number of participants already registered. Rush on your agenda and block important dates and destinations. You are member of Le Grand Club you join the tour for the small sum of £50 for the year.